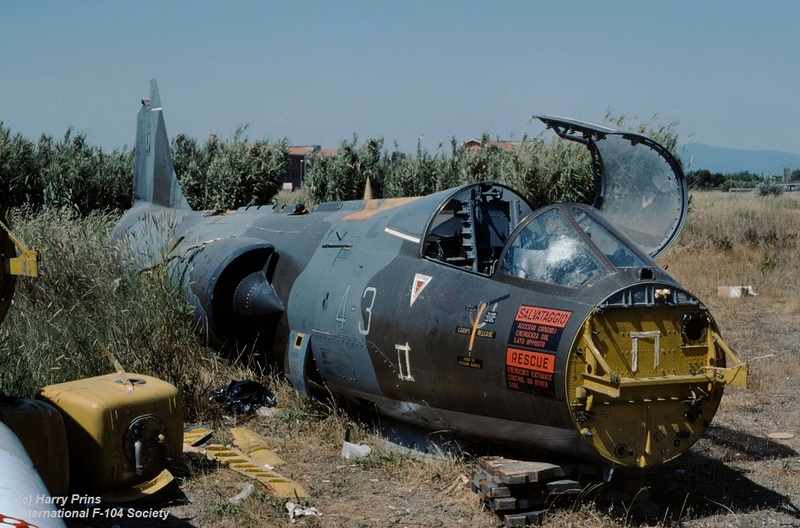 This F-104 Starfighter crashed at a riverbed at Montanera, near Cuneo Fossano. The pilot Capt. Alessandro Gentilini ejected safely at about 4500-5000 feet. No information known about the cause. 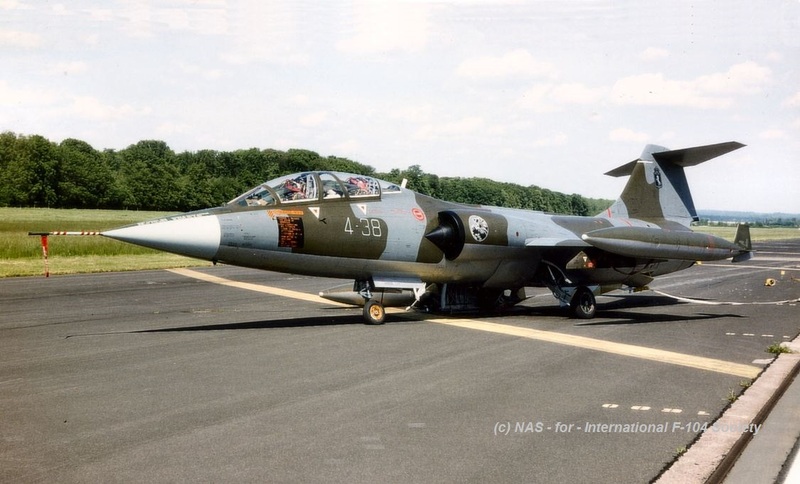 Photo beneath was taken at Koksijde Air Base on July 3rd, 1994. 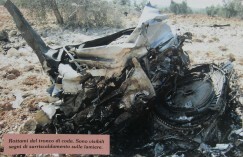 During shooting at this unmanned drone, its undercarriage was severely damaged, so, it had to be shot down. This was done by a AMRAAM missile from an Japanese F-15J Eagle. (ex 46-8575). During an ultra low approach at Norvenich AB (with call sign I6802) it hit the flashing-light system with its starboard (right) side main landing gear which broke. The aircraft came down on the runway on its starboard side on the tip tank and pylon tank. This last tank broke into flames. The aircraft slides over the runway and stopped in the middle and center which was very fortunate. The right main landing gear and wheel door was broken or damaged. All tanks were written off and the right wing-flap was severely damaged. 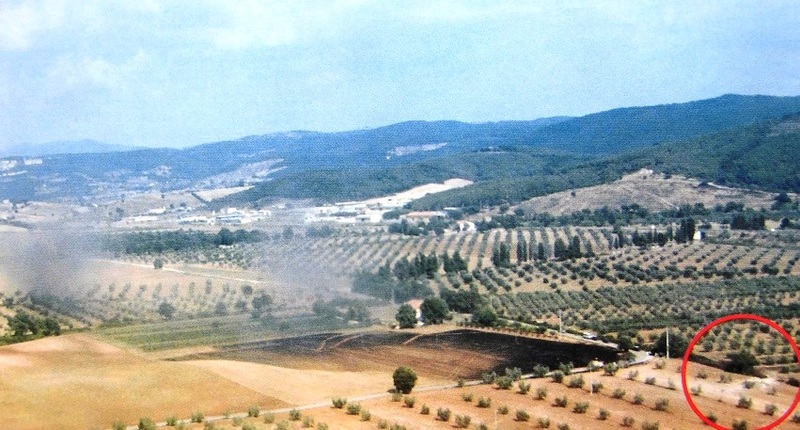 The two pilots could step out unhurt. 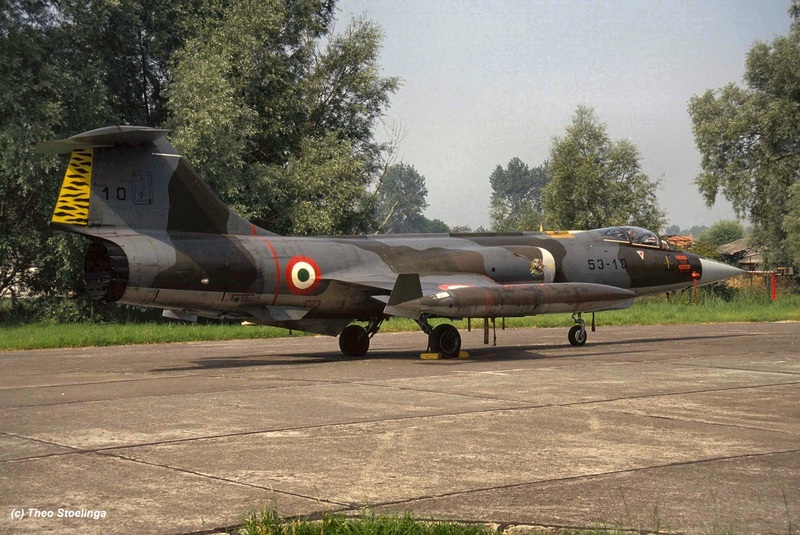 The aircraft was repaired and flew back to Grosseto on 29 May already having only 2 tip tanks. 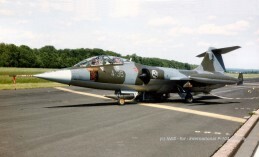 The colleague F104 mm6768 went to Spangdahlem AB and landed there. Both aircraft were on their way to the open house of Bodo, Norway. 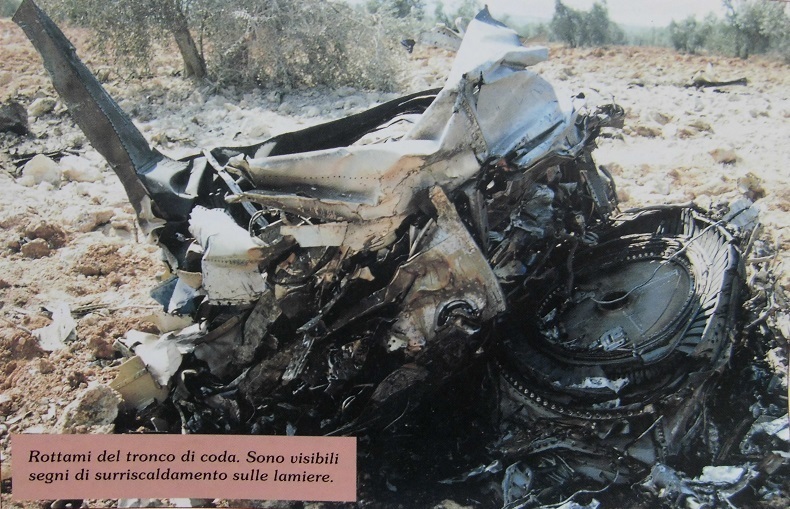 Pilots T. Col. Giuseppe Fognani and Cap. Ivan Laudizi were ok. This aircraft sagged through its landing gear while taxying at Grosseto. It was put on temporary storage and was planned to be repaired. 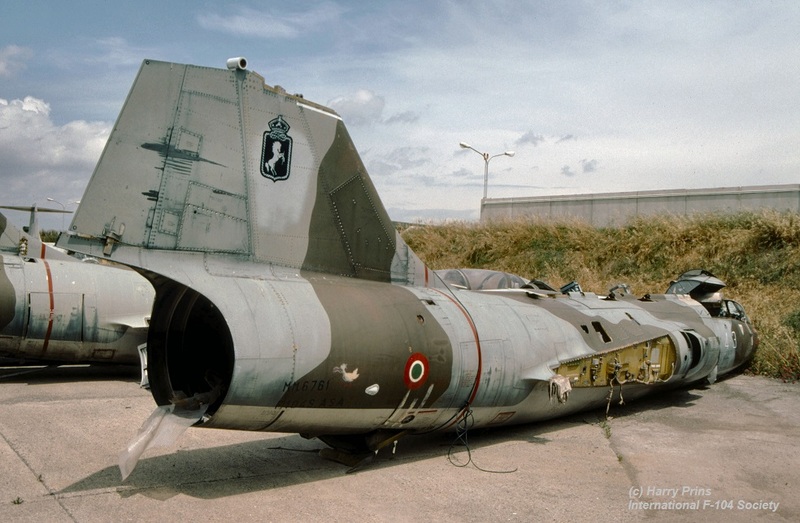 Nevertheless it never was repaired and stayed in operational storage, and never flew again. Beneath two photos taken during two visits at Grosseto where the aircraft was seen on the dump, first May 29th, 2001 and lateron somewhere else on the airbase on June 1st, 2004. (Both: Harry Prins) It was scrapped afterwards.